I am currently on the road heading for Bikaner in Rajasthan, India. 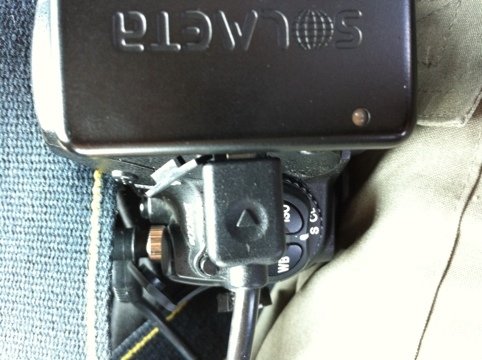 On my D300s I have my Solmeta N2 geotagger for GPS localization. The tagger itself performs well, long battery life and quick position finding after switching it on. But one weak point is now revealed. 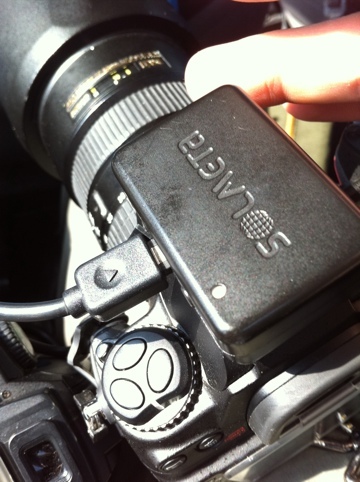 The cable connector between camera and tagger could have been designed more rugged. On the camera side everything ok. It is the standard 10pin connector with screw lock. On the tagger side it is a custom plug, like a flat and broad mini-USB. Nothing standard (Problem 1). Also there is a rubber cover on the tagger plug slot, which you have to pull out. This rubber cover is partially in the way when you plug in the cable, impeding the cable to be fully plugged (Problem 2). This whole mess is a pretty good weak point. If you put the camera in the bag and the cable bends down, and the plug is bent too. My plug is not working properly anymore. It is loose in the taggers plug socket and I have to push it in regularly to establish a connection. Solmeta oldest version DP-GPS N2 was designed in fixed datacable style. You don’t need to worry about the connector will broke when using. The disadvantage of this old model is that can’t compatible with square connector cameras like D90, D5000 if you also have those models. I read recently Solmeta will back to this idea in the near future, people can decide by themselves if they prefer to get one with separated cable or fixed cable.